Valuable partnerships with other businesses. 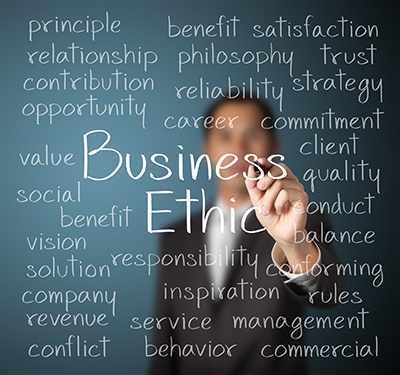 The downsides of being an unethical business are enormous for small to medium enterprises. The introduction of social media in particular ensures that your most recent client experience is often highly visible to the general public and therefore if you operate your business in a unethical manner, you will at least fail in the court of public opinion and likely on commercial grounds as well. At our core we are comprised of a group of ethical employees. Why would we operate any other way. PHire-1 Solutions works to build strong relationships based on trust and performance. We price competitively and we endeavor to deliver a compelling value proposition to each of our clients. If you follow us on Twitter , you will see that we are strongly supportive of our fellow man. We advocate on behalf of Refugees and those less fortunate than ourselves both within and outside of Australia. Our life experience has included significant time overseas including Africa. In that context we find it difficult to support many of the positions taken by various governments with regard to both Refugees and also Economic Aid. If you or your organisation are interested in our advocacy activities, please join us on Twitter . PHire-1 Solutions is based on the edge of the World Herritage listed Blue Mountains National Park, west of Sydney in New South Wales, Australia. We value the environment in which we live and the indigenous people that originally inhabited this land, the Gundungarra and Darug tribal groups. At PHire-1 Solutions, the trust of our clients is of utmost importance to us. We therefore do not share our clients data with anyone! To the extent possible all client data is annonymised and nothing is stored on our Internet facing servers.